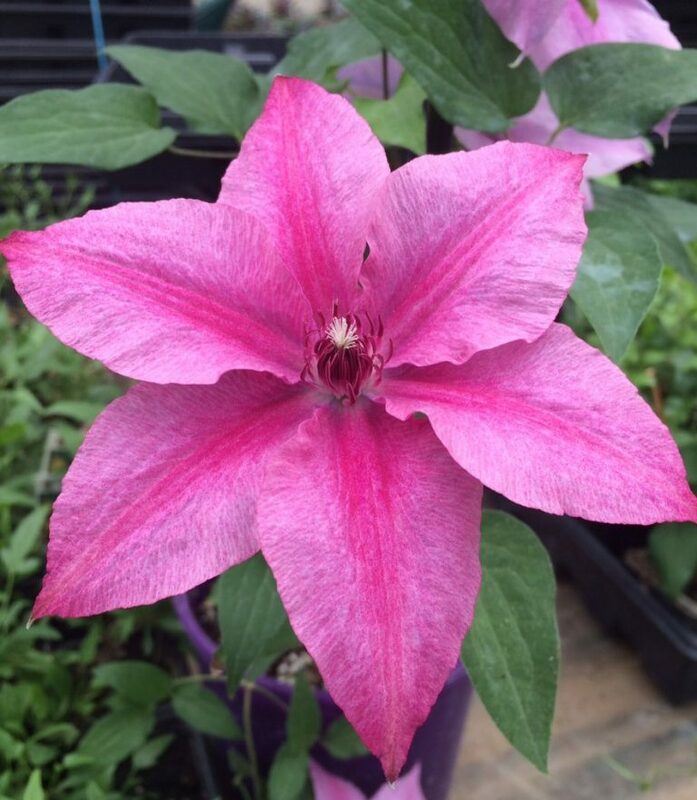 This stunning new clematis’ first flowers are a deep, two-toned rose color. Flowers then take on a multitude of pink shades all blooming at the same time. As the flower fades, it has a two toned lavender/pink flower. 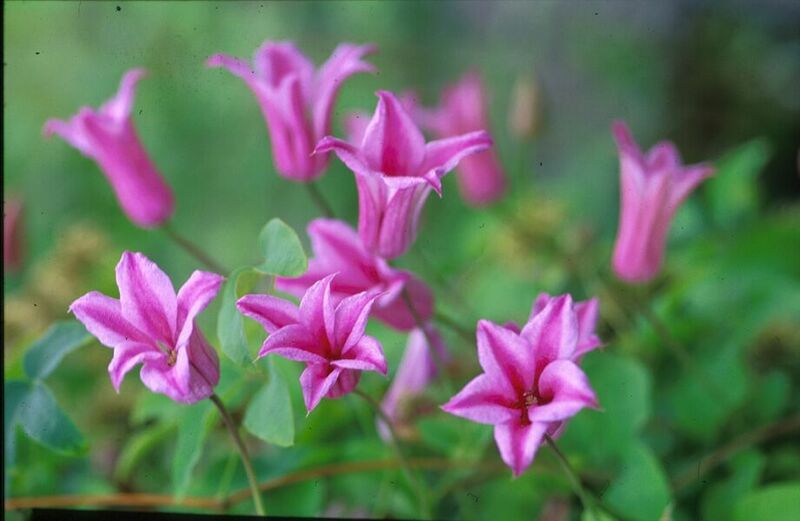 The dramatic burgundy anthers add to the beauty of this clematis. 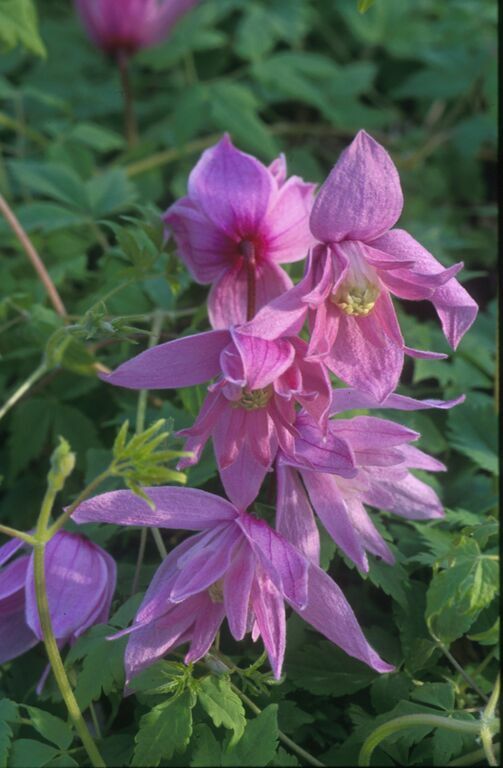 It is very free flowering and blooms all along the stem. Blooms June through September and grows to a height of 7 feet. 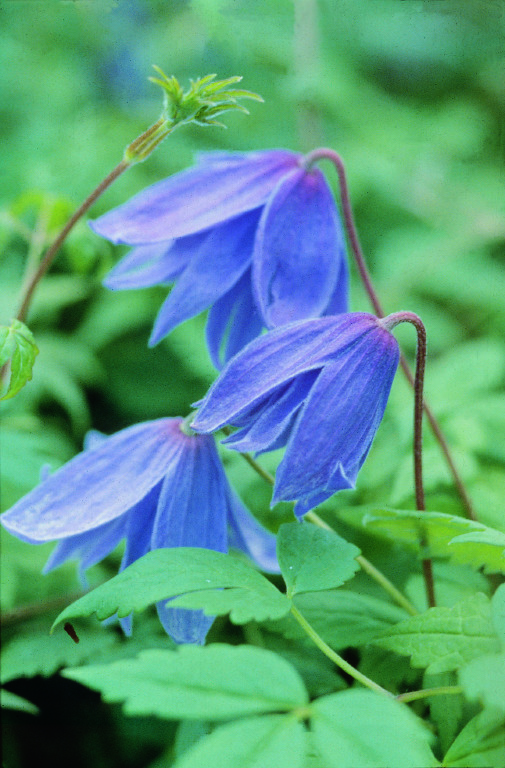 This new cultivar is Mark Donahue’s second clematis introduction and is named after his grandmother, Rosalie. 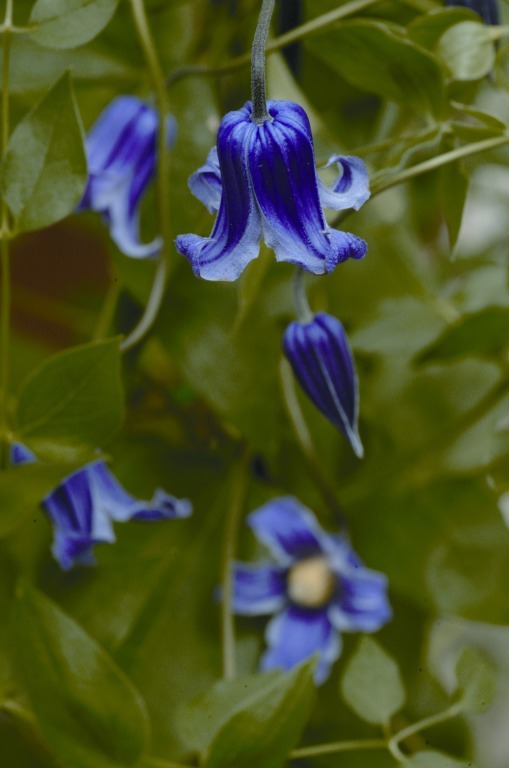 We are certain this impressive clematis will be sought after for greenhouse production and gardens.